New buy-sell marketplaces tailored for Moms are popping up online and in brick-and-mortar form -- literal "bricks" in one case. Bricks & Minifigs at Westfield Countryside Mall is appealing to parents whose sons and daughters have outgrown their Lego sets. Only open a couple months, the resale shop has proved so successful, owner Adam Smyk is opening a second location in Brandon, in the fall. "We have mothers coming in all the time, saying their sons are no longer into [Legos]," says Smyk, a Navy veteran. "This is something you don't want to throw away, but you also want to clean up rooms, so that's where we come in." 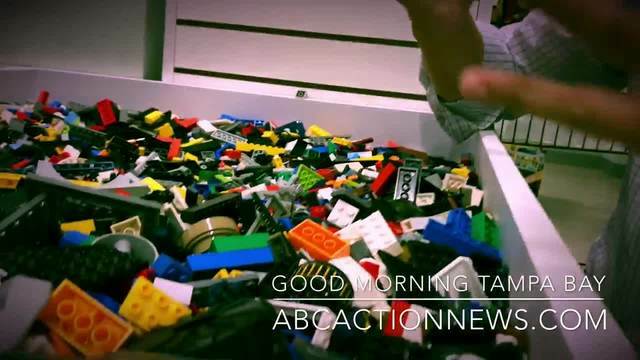 Lego obsessives also love the store, a treasure trove of new and old Lego. They too rely on the Moms, who are encouraged to bring in random tubs of Lego pieces (a recent one went for $80) or complete sets, which tend to fetch more. Smyk gives cash for Lego, about 50% of the resale price, although older, rarer pieces can fetch more than the original retail value. Oh, and "the cleaner it is, the more money I can give for it," says Smyk. For more on Bricks & Minifigs, go to bricksandminifigs.com . ( www.kidizen.com ) This online marketplace developed by Moms for Moms is clothes-based, but easy to use. Post pics of old kid clothes you're selling -- for free; Kidizen takes an 18% cut from the transaction purchase. BRIAN'S TOYS ( www.brianstoys.com ) Have some Star Wars figures and Barbie dolls around? Nostalgia can pay very, very well.